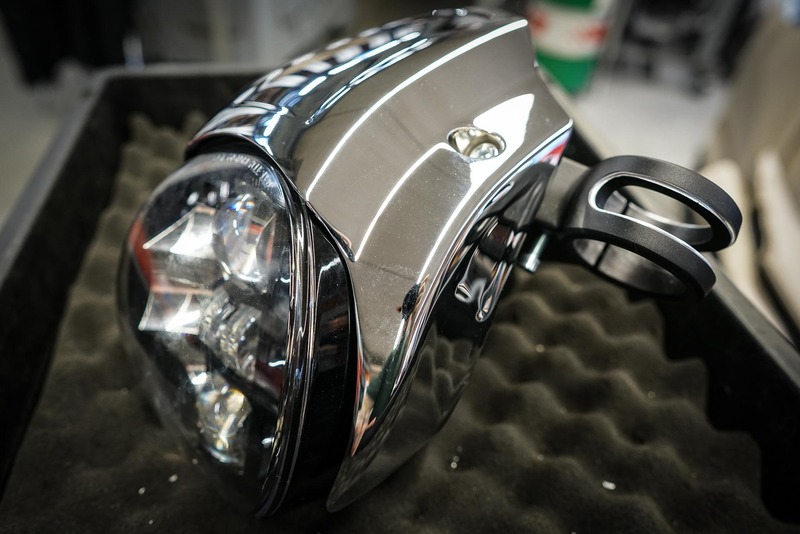 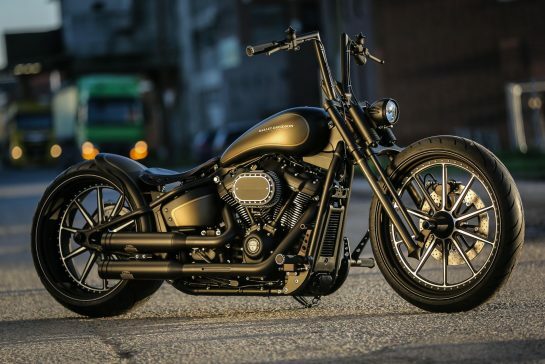 Probably the most radical Softail, who saw the light of day, is our GP Style. 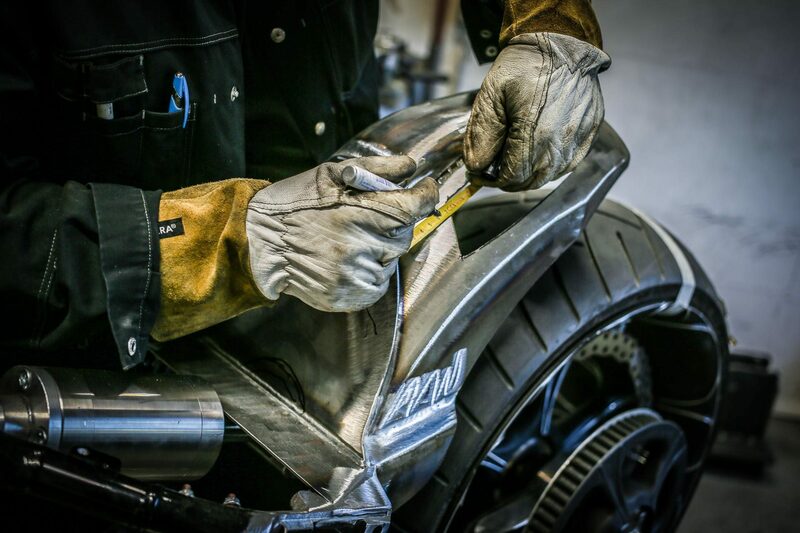 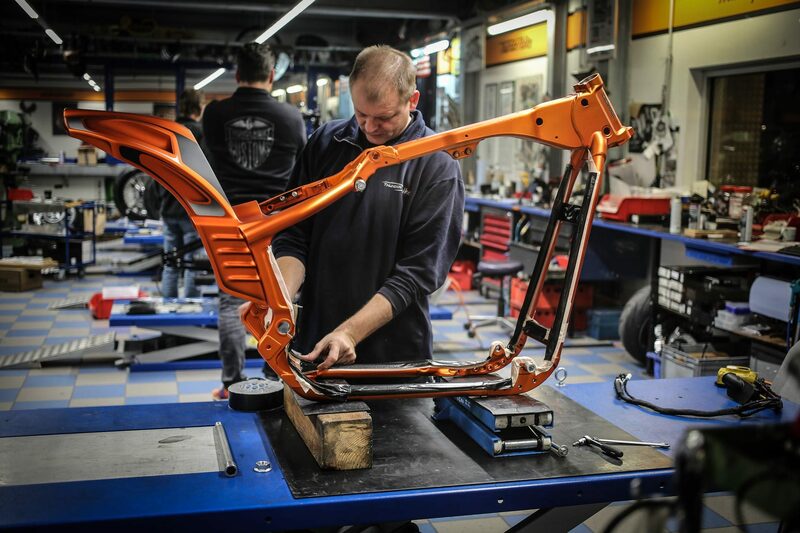 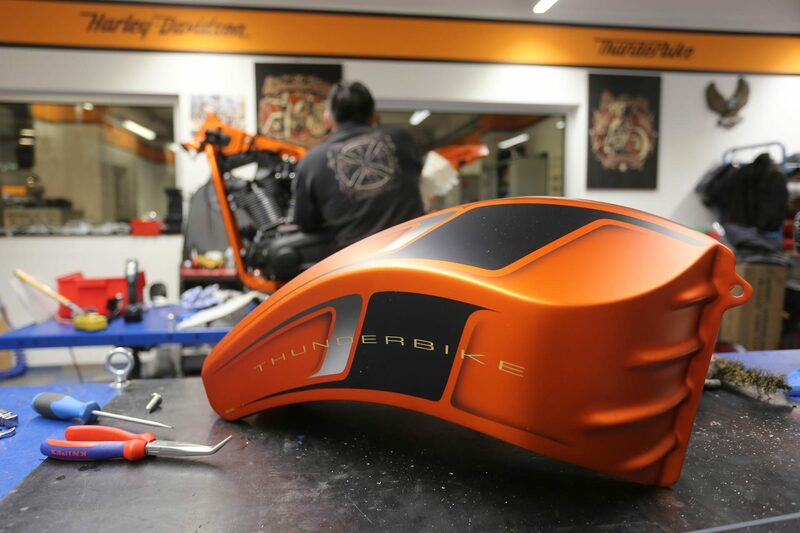 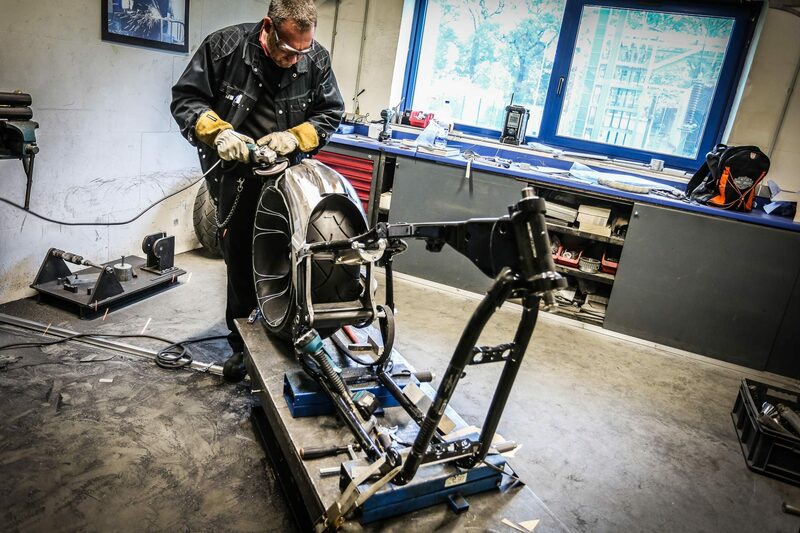 Its roots are in our Grand Prix concept, which was based on one of our custom frames. 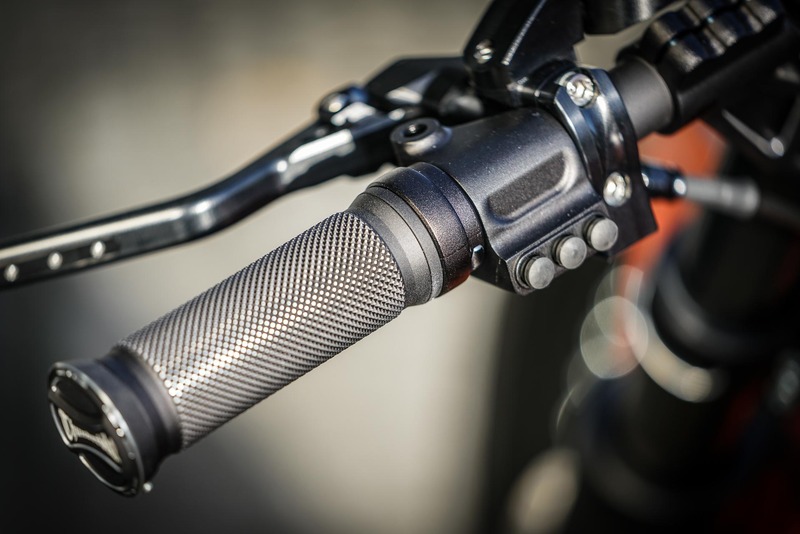 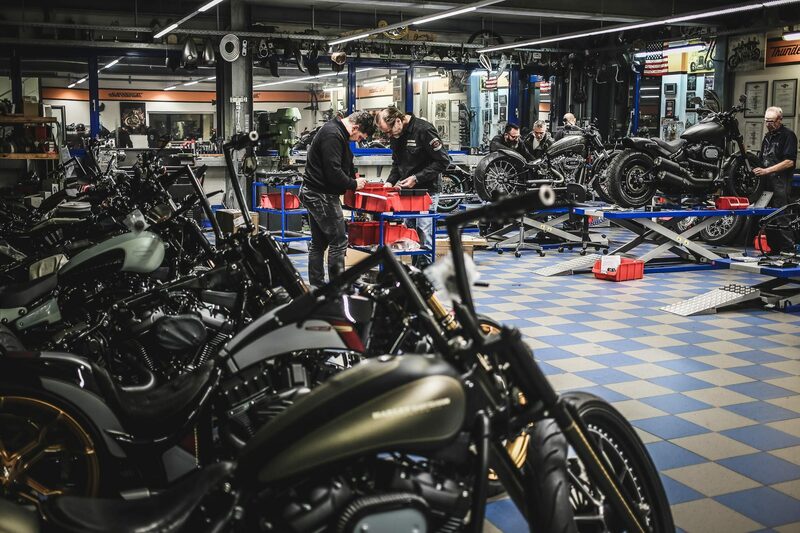 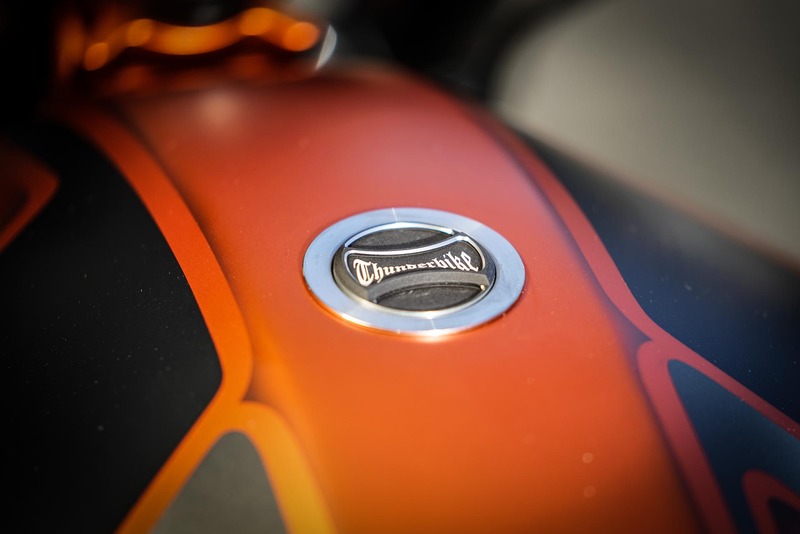 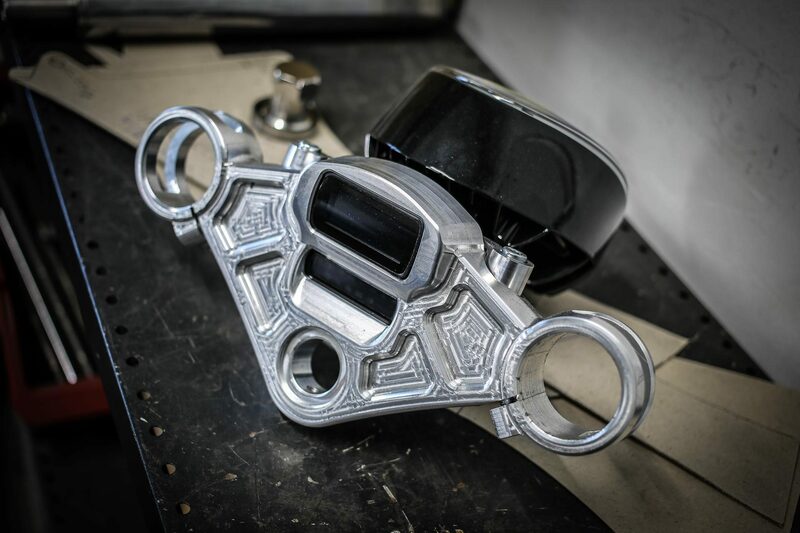 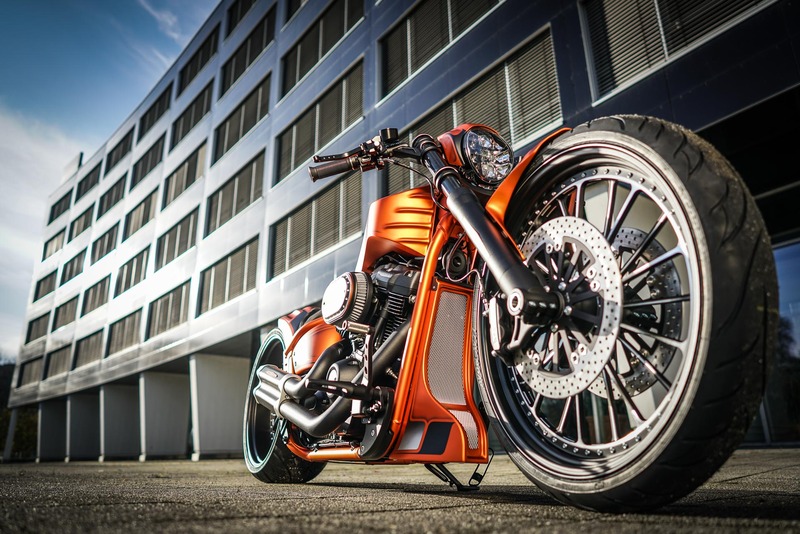 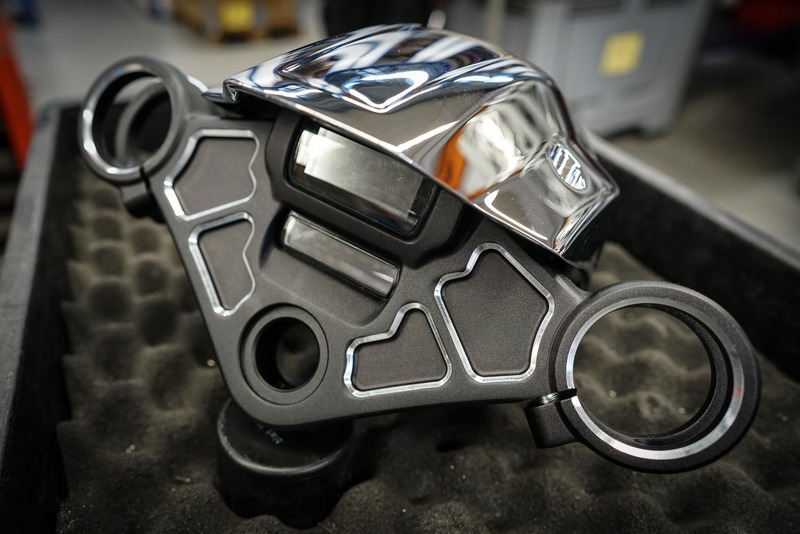 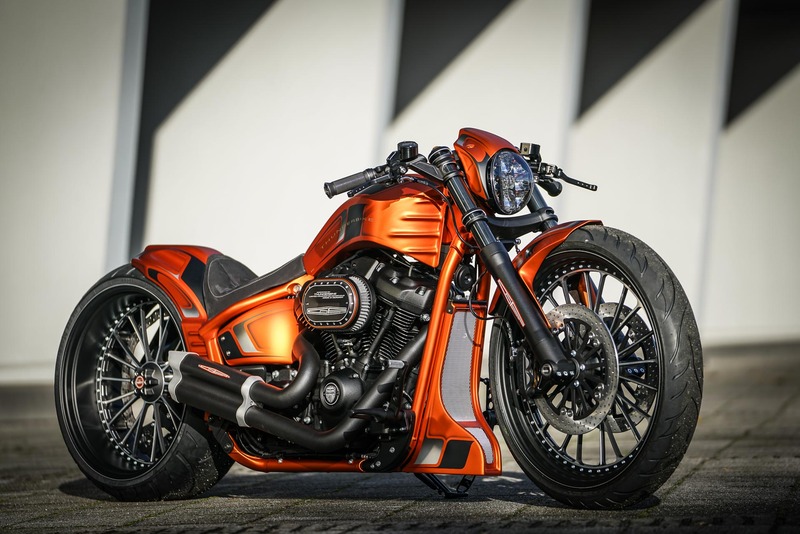 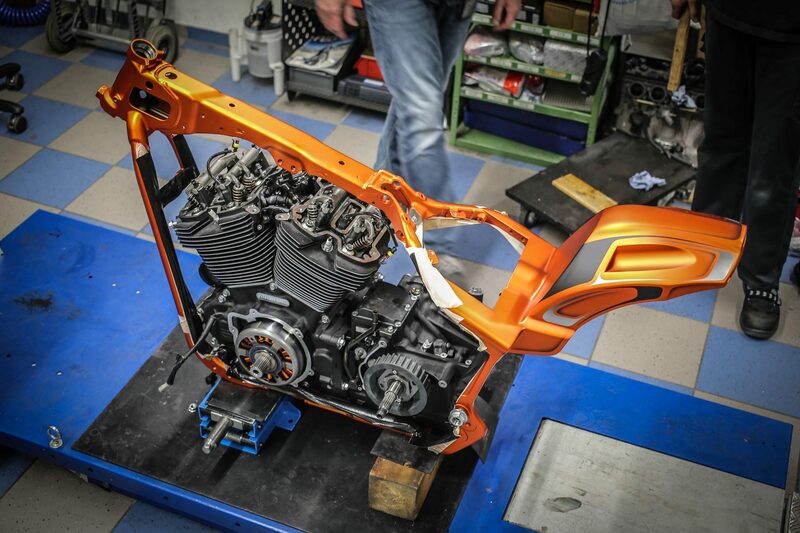 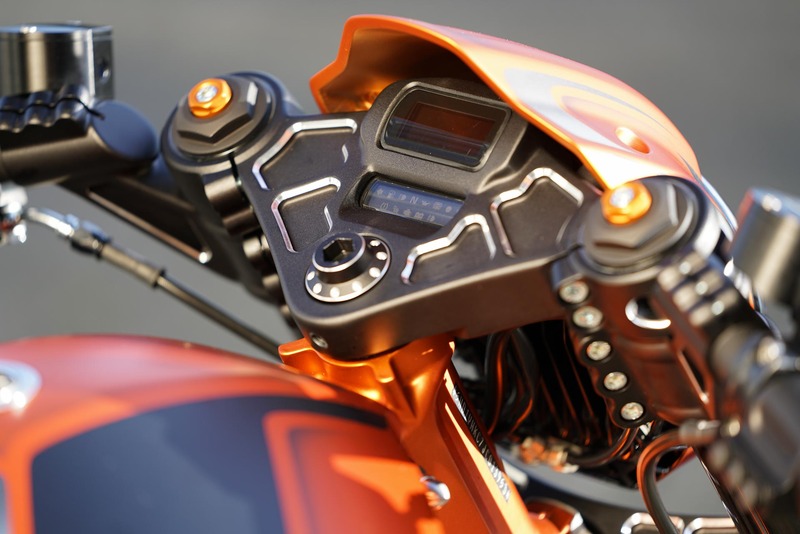 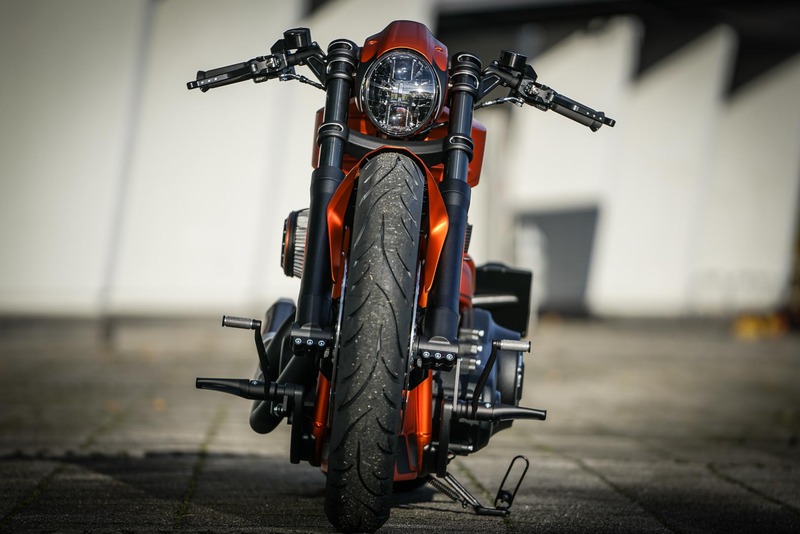 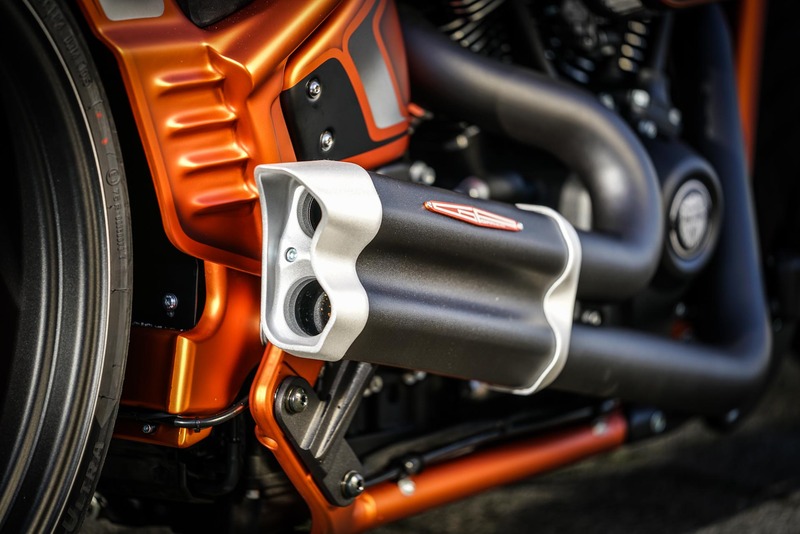 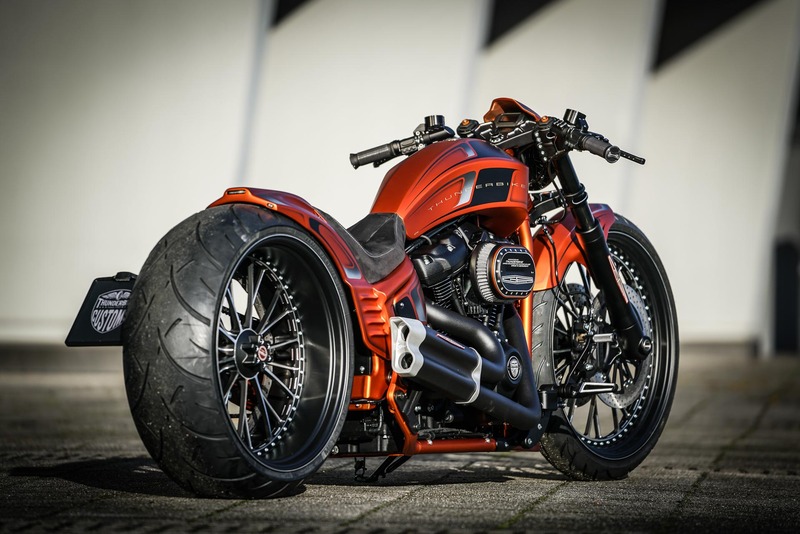 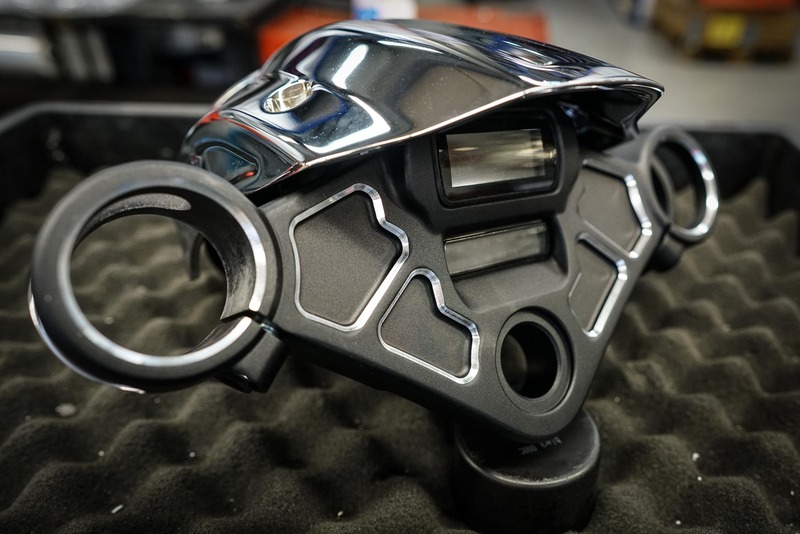 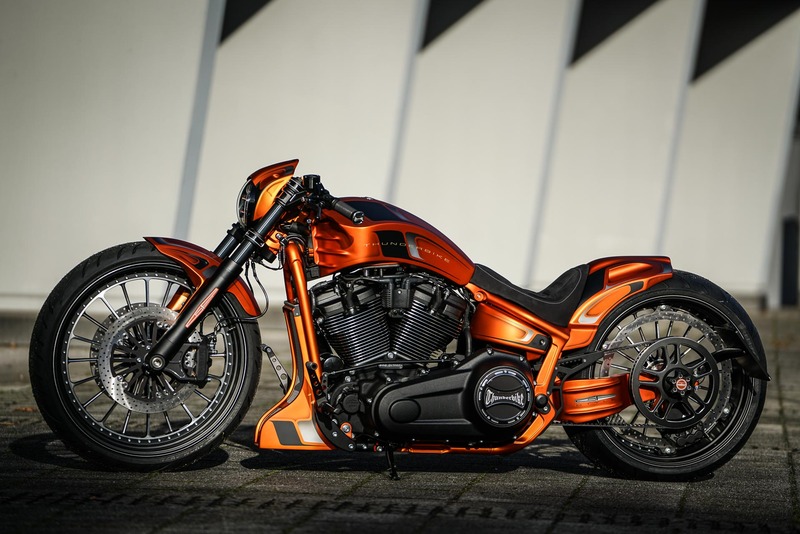 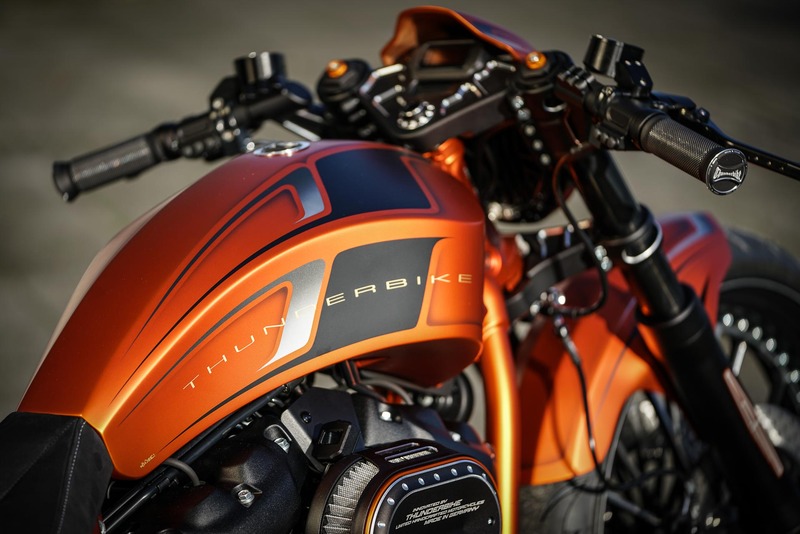 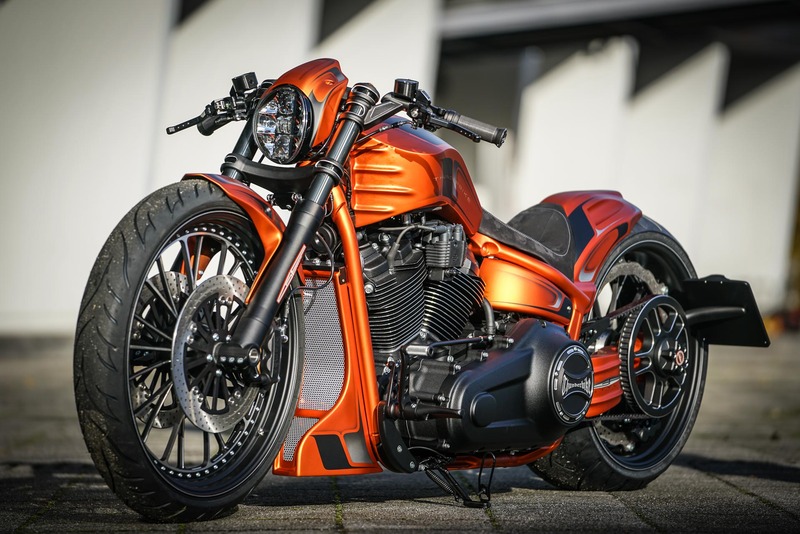 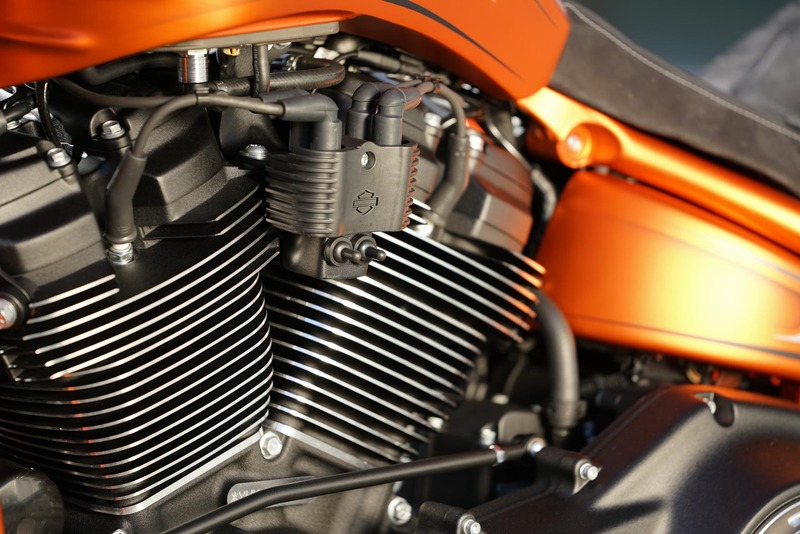 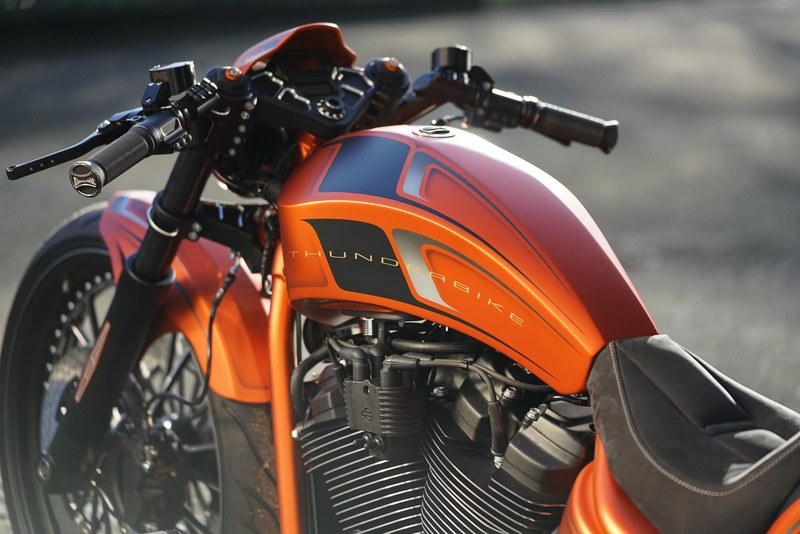 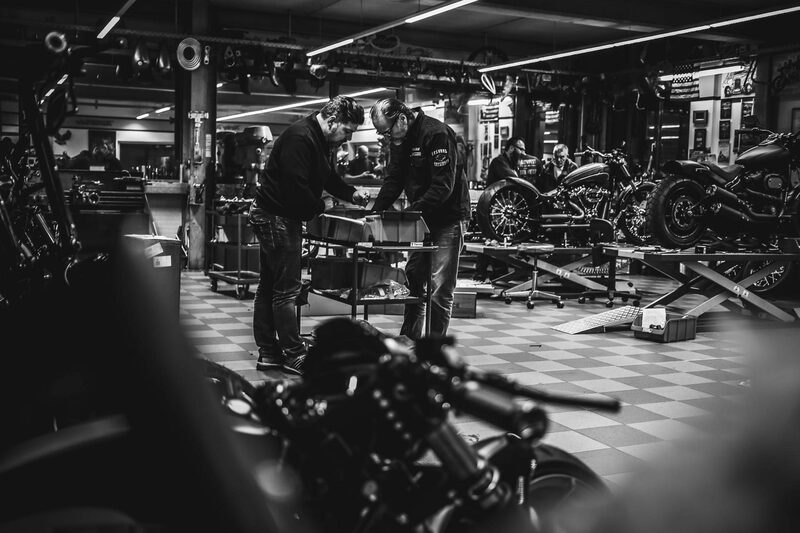 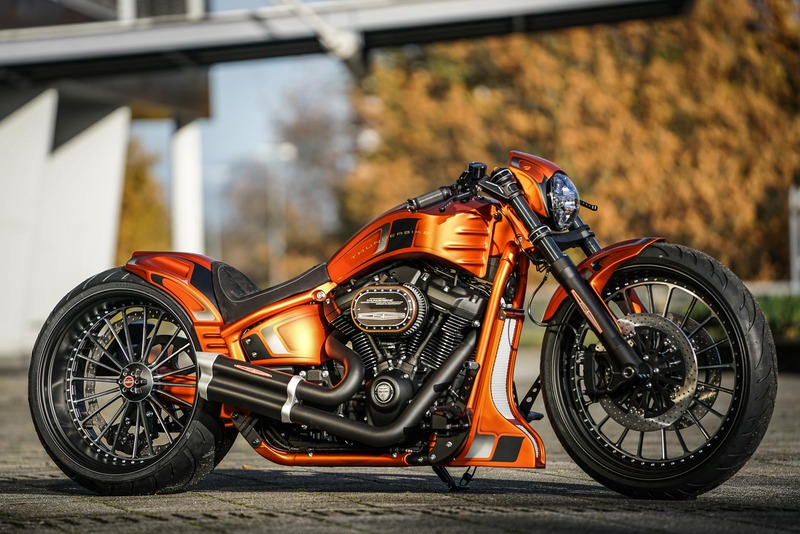 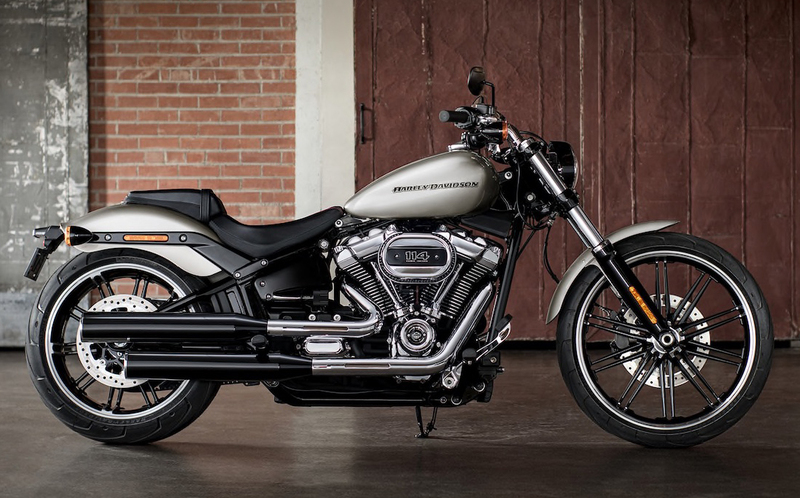 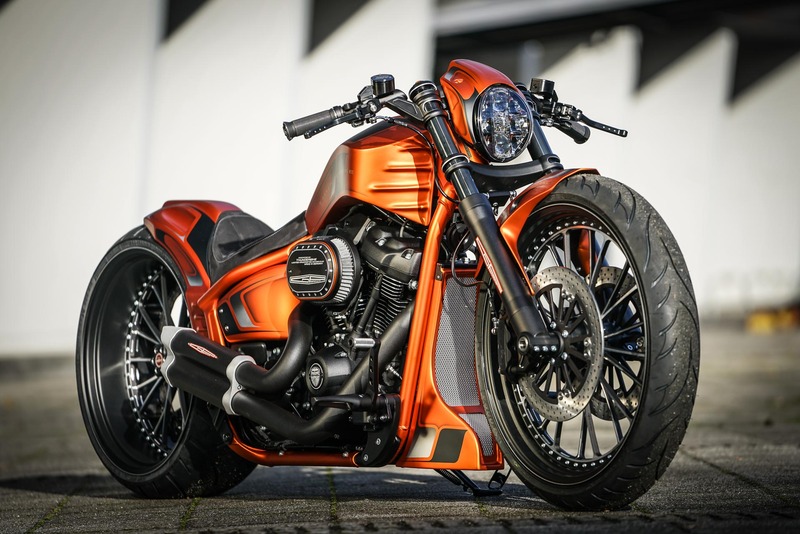 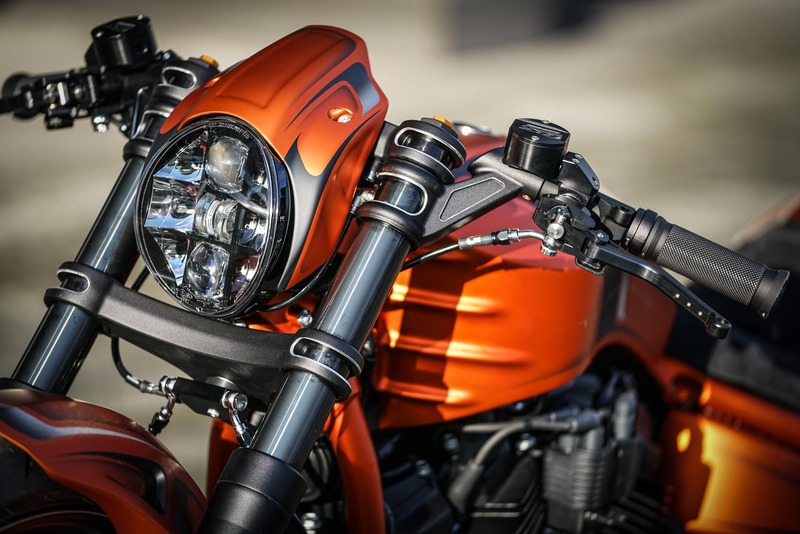 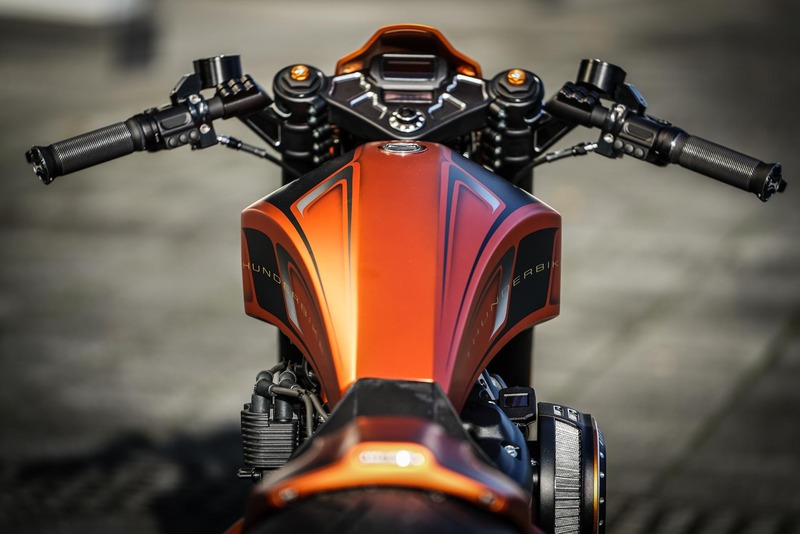 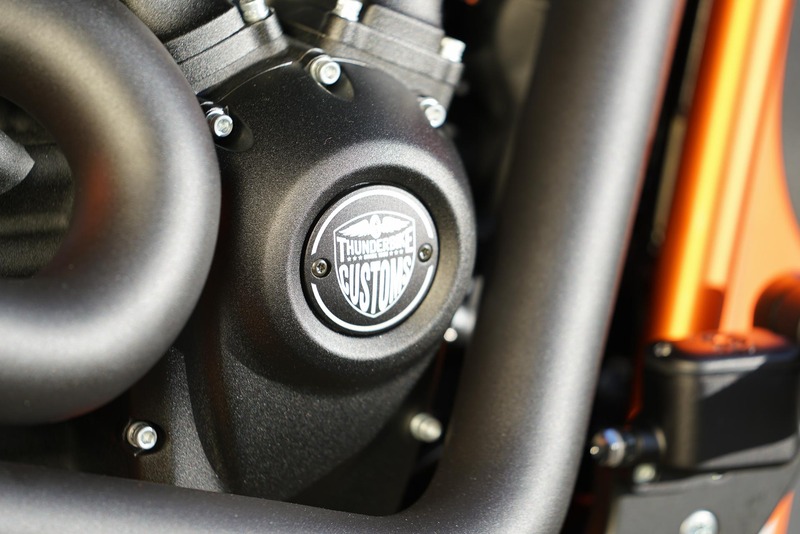 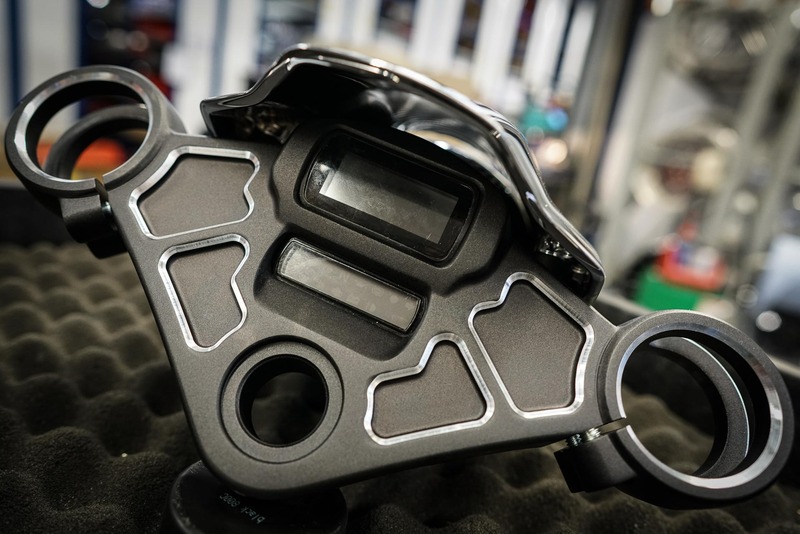 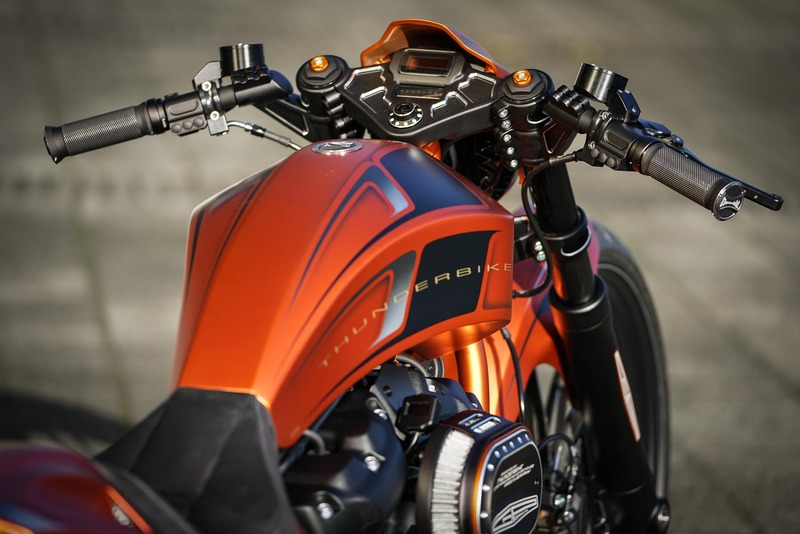 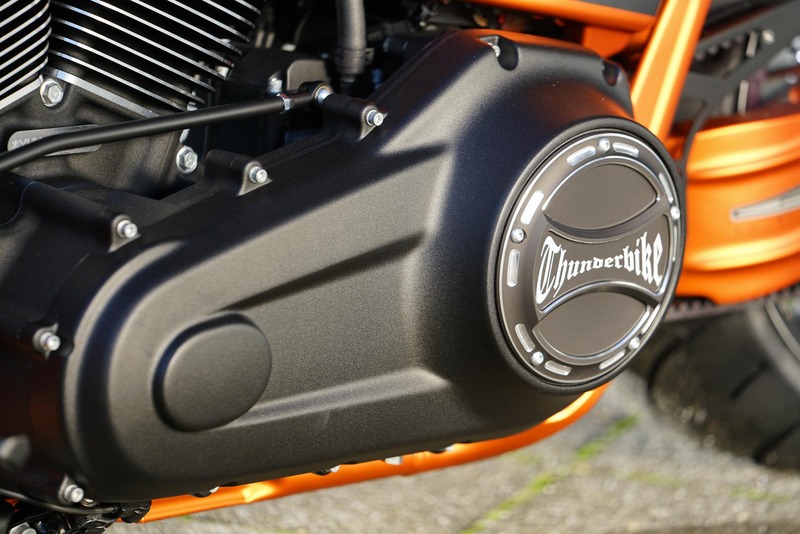 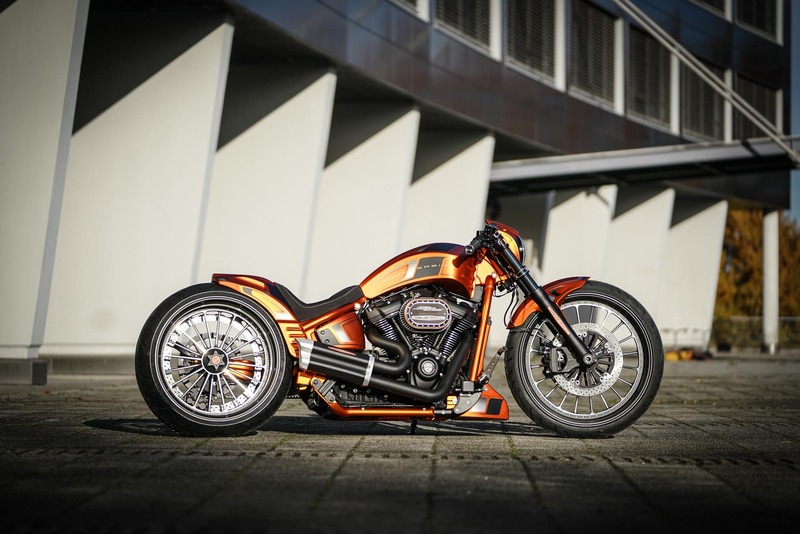 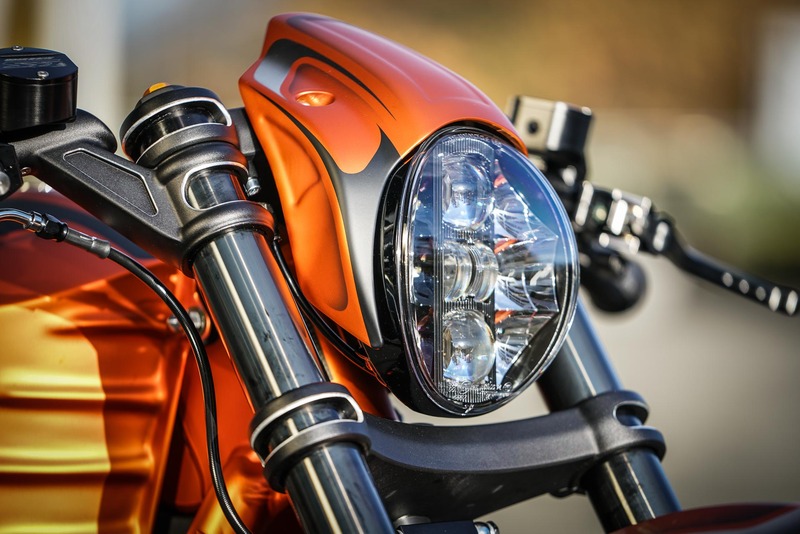 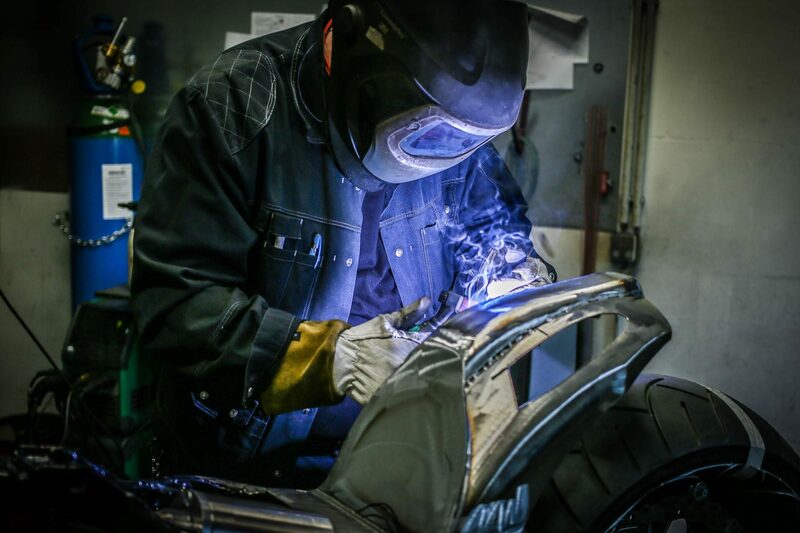 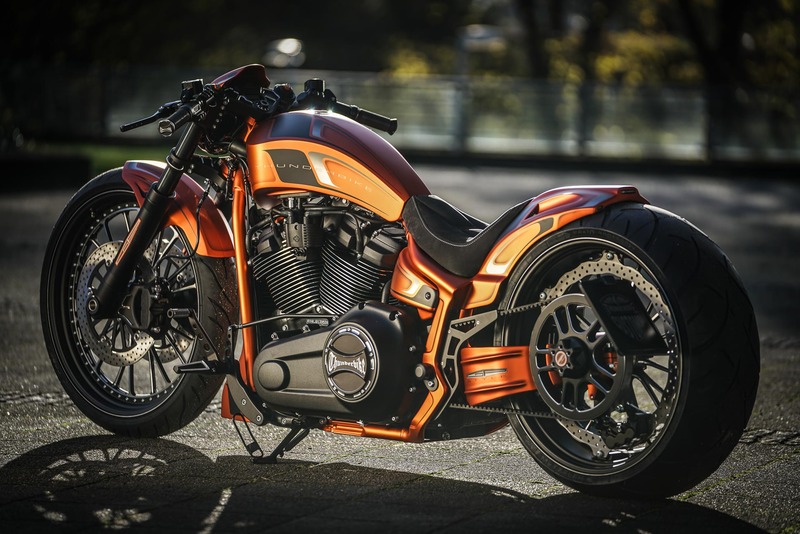 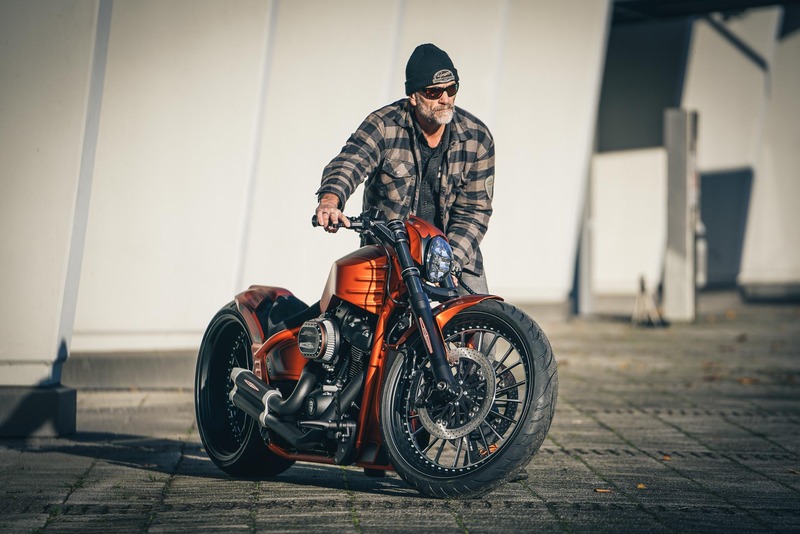 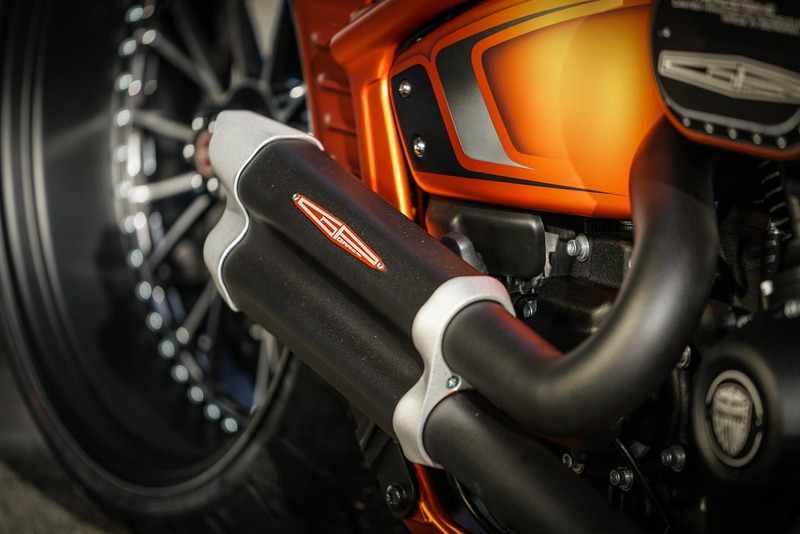 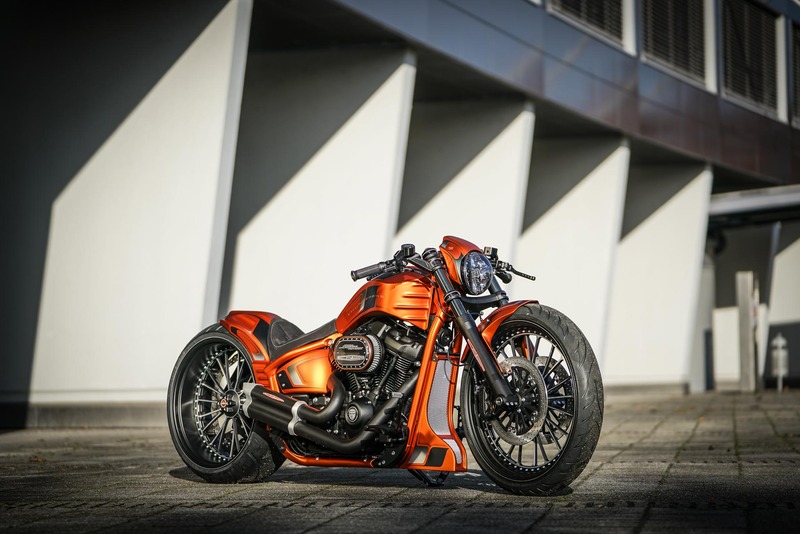 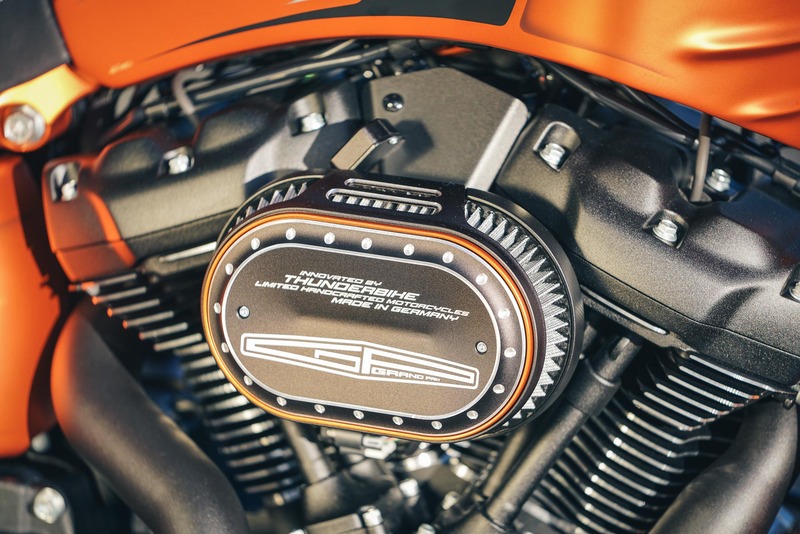 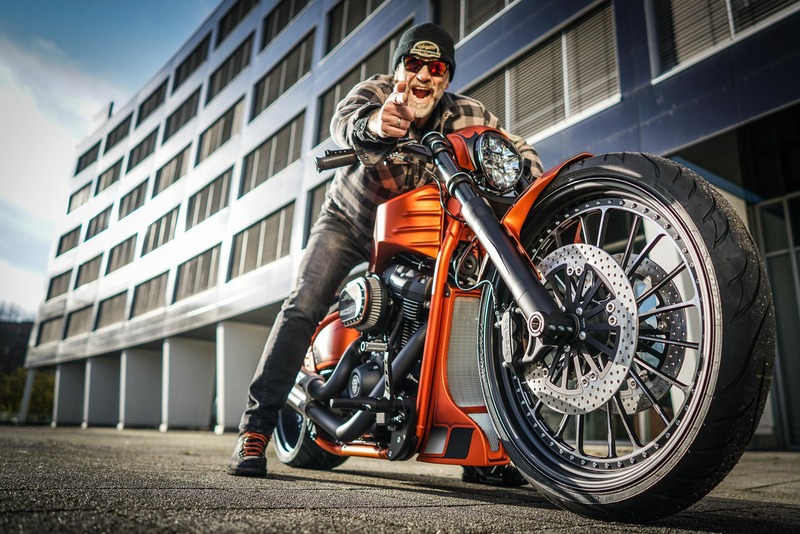 Now even more modern technology was forth, so that the choice fell on the new Milwaukee Eight engine with 114 cui from the current Harley-Davidson Breakout 2018. 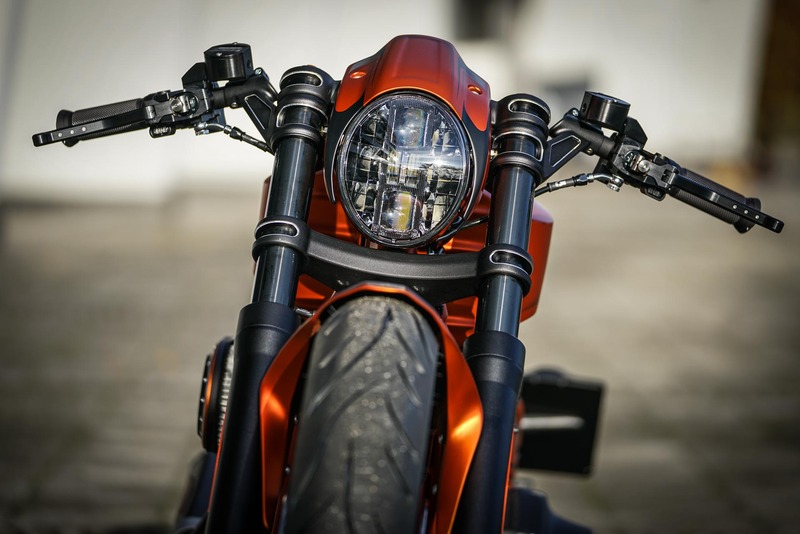 Also, the frame remained absolutely unchanged, so that a road approval as in almost all of our conversions is not a problem. 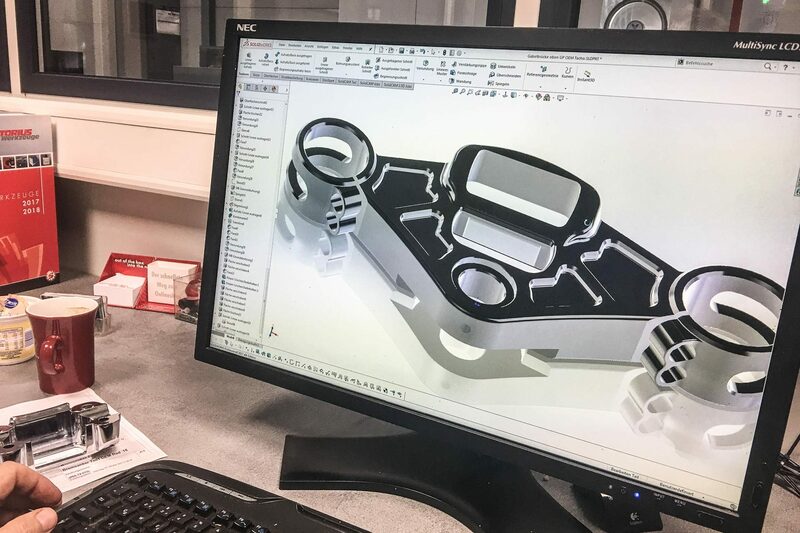 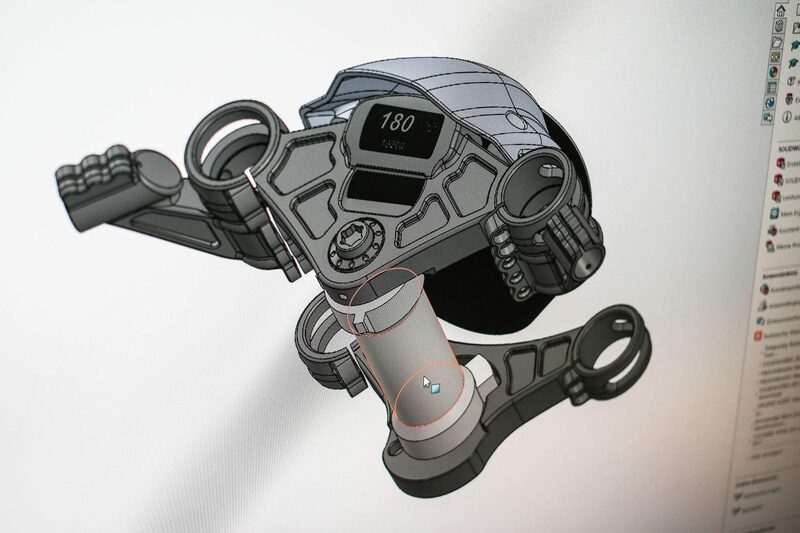 Of course, some parts have been further developed for our small series, but have remained very close to the prototypes shown here (see below for details in the Tech Sheet). 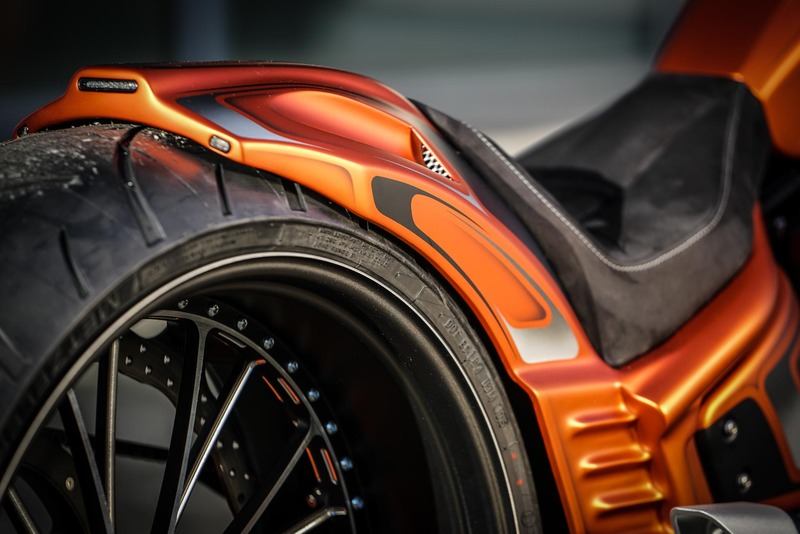 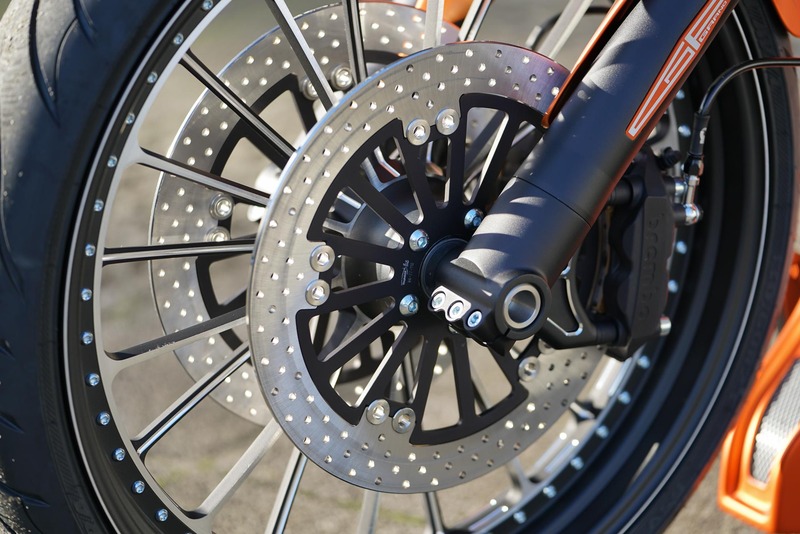 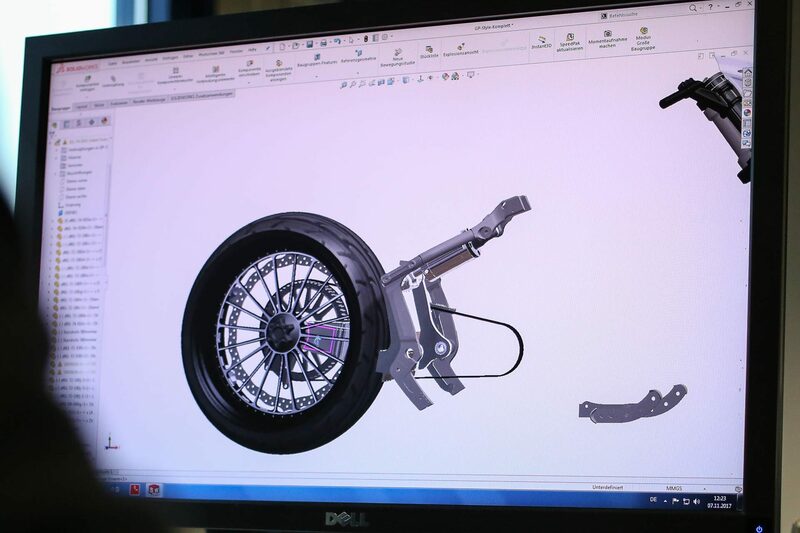 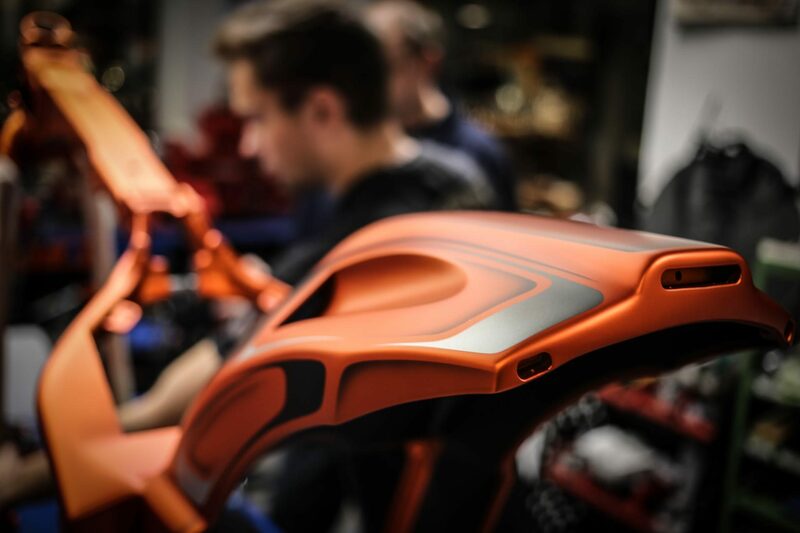 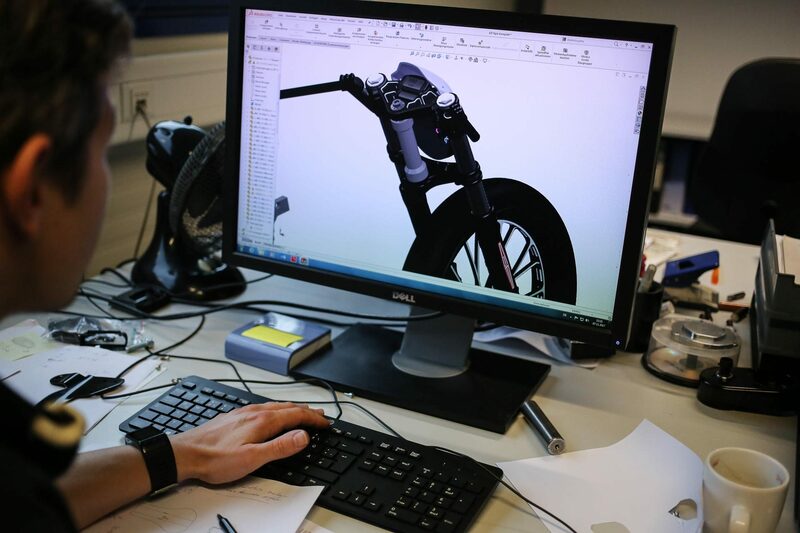 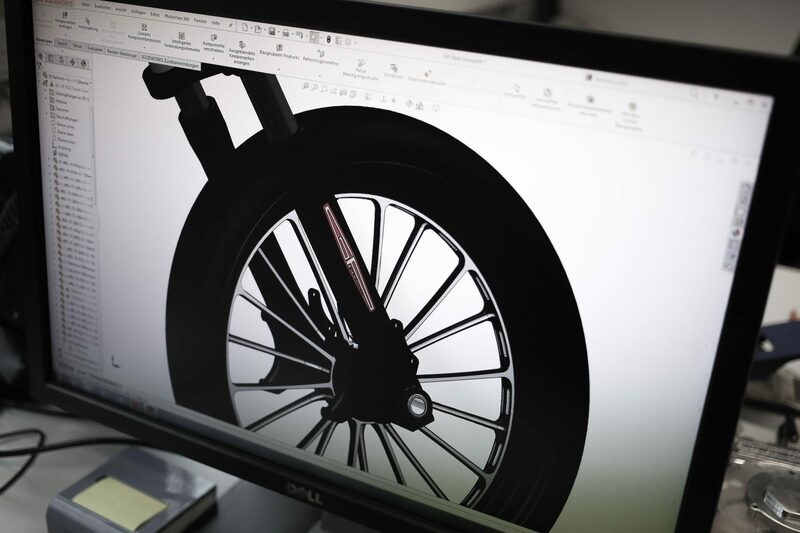 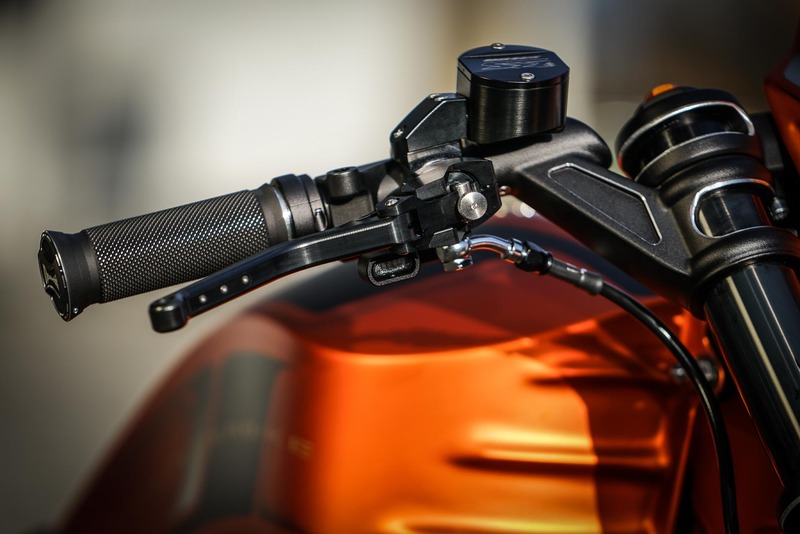 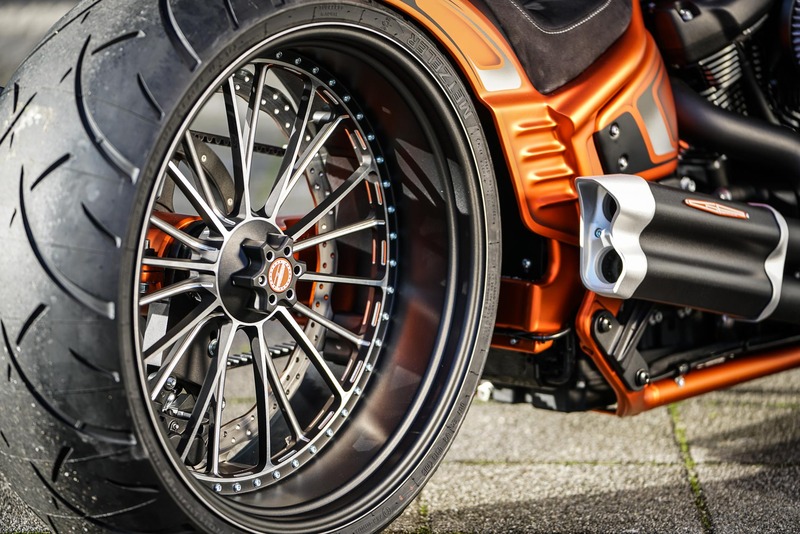 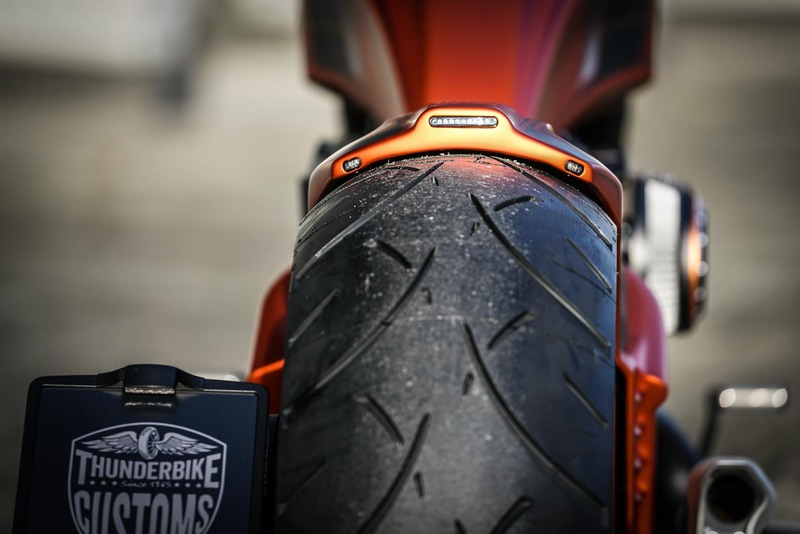 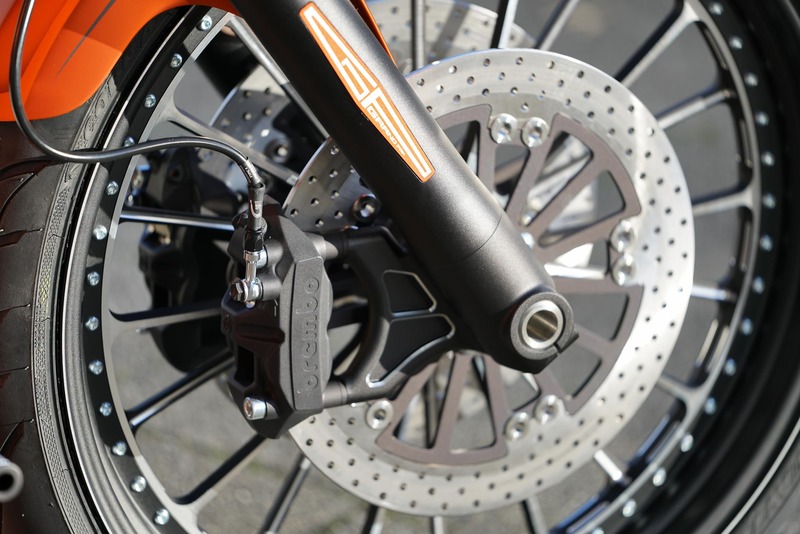 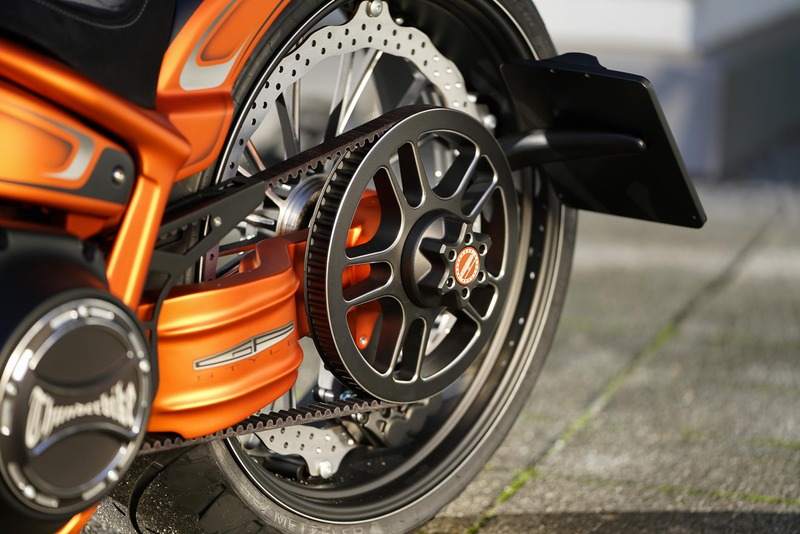 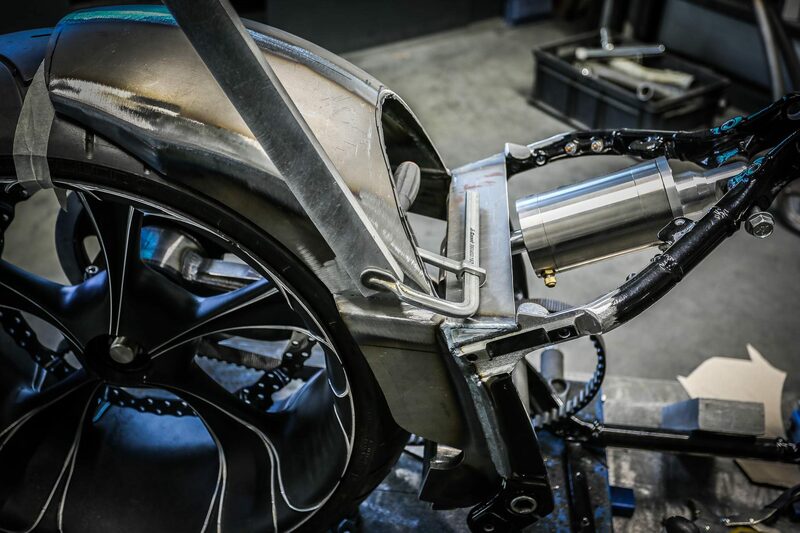 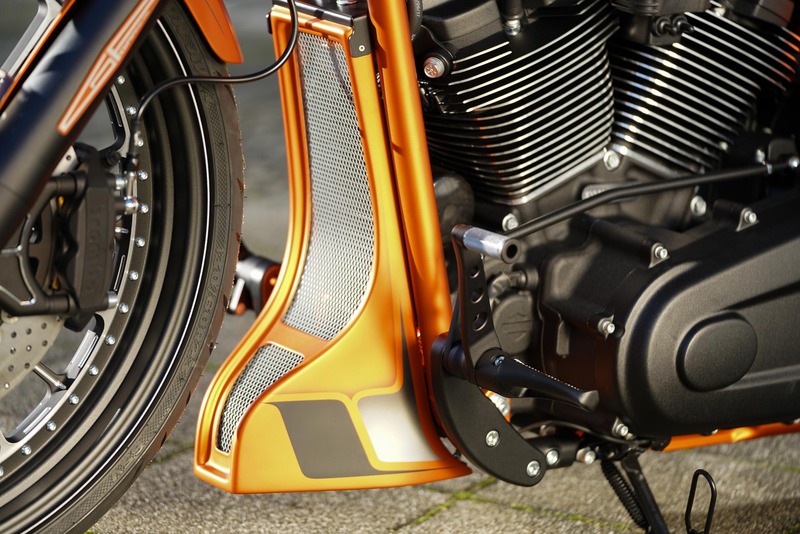 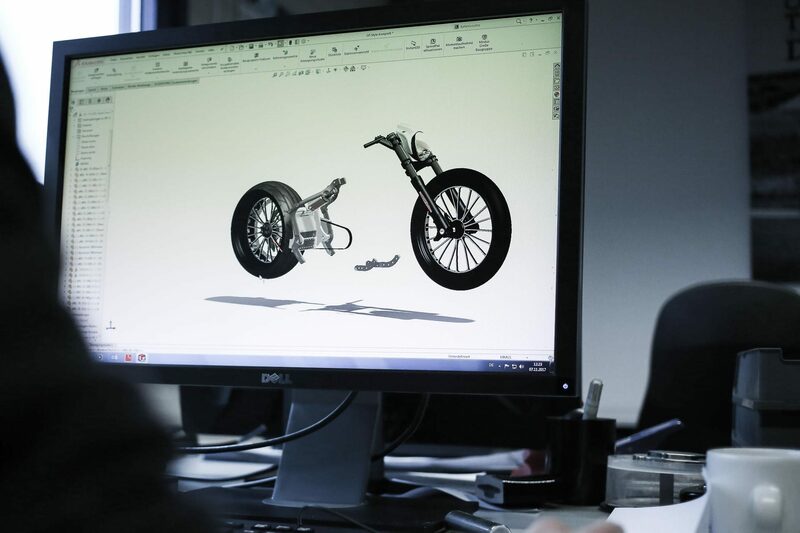 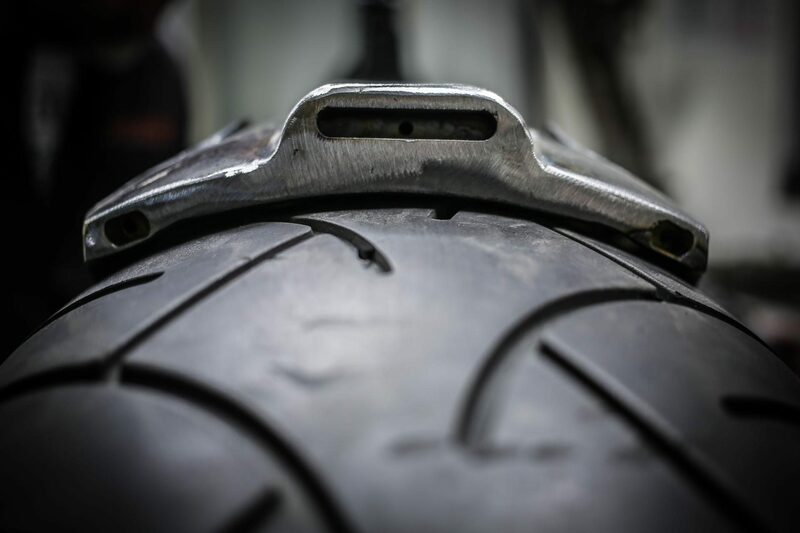 A single swingarm with huge perimeter brake, fork bridges with integrated breakout speedometer, DLC coated fork with radially bolted Brembo brakes in conjunction with a sporty edged sheet metal dress give the bike the desired racing line. 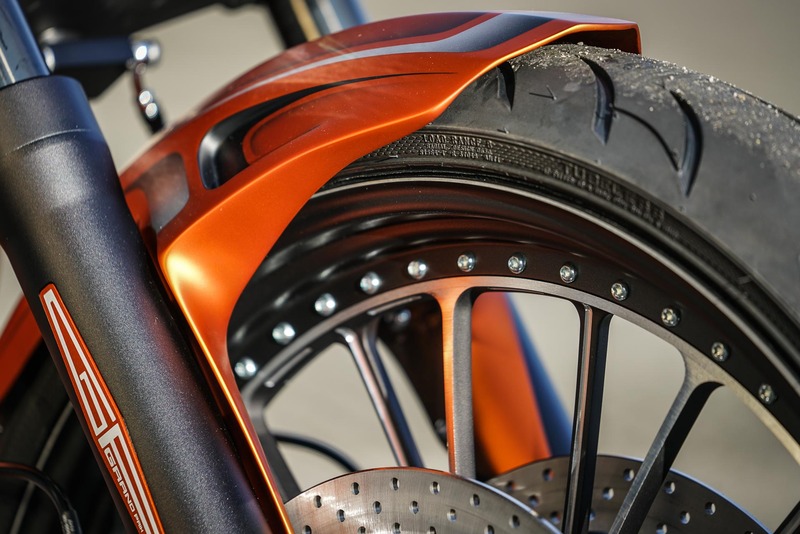 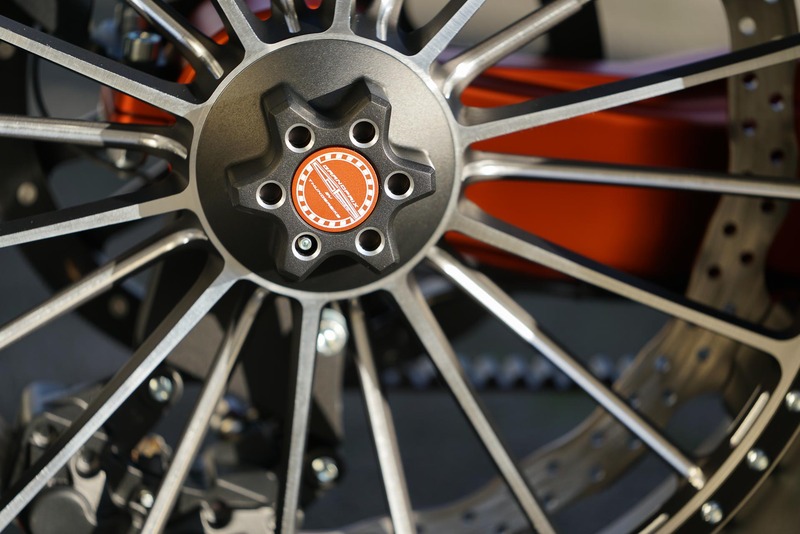 The super light Digger wheels and the raised GP style exhaust put the racing character to the point. 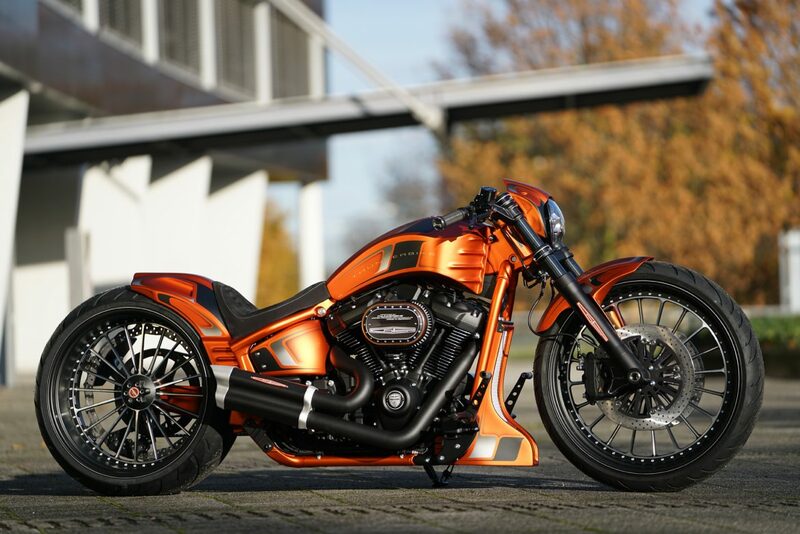 Stylish and in a perfect execution is the sporty paint finish – this comes from Kruse Design and is as always a precision landing. 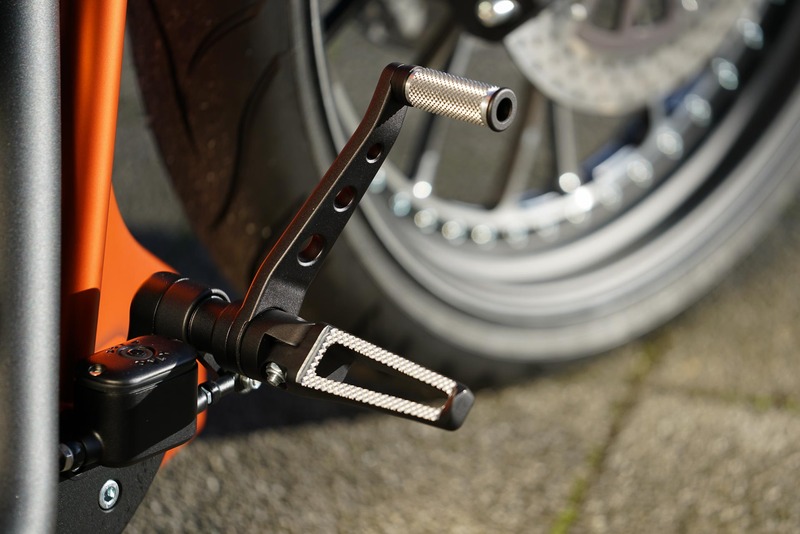 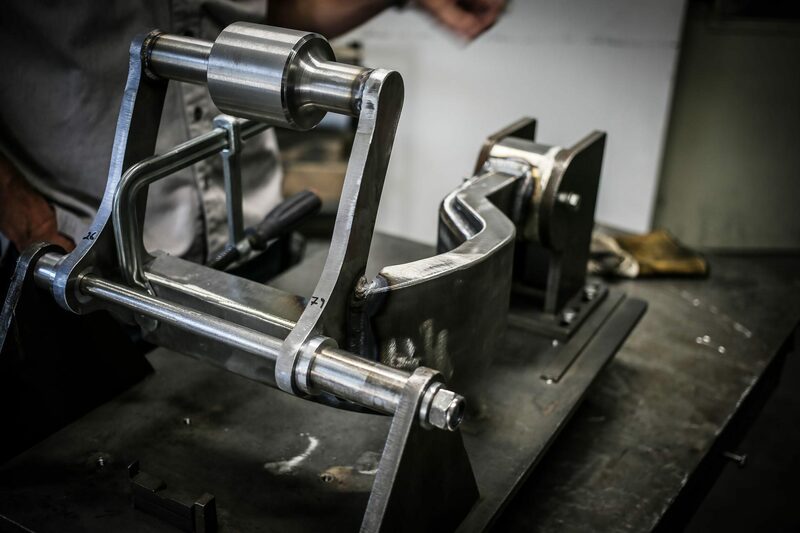 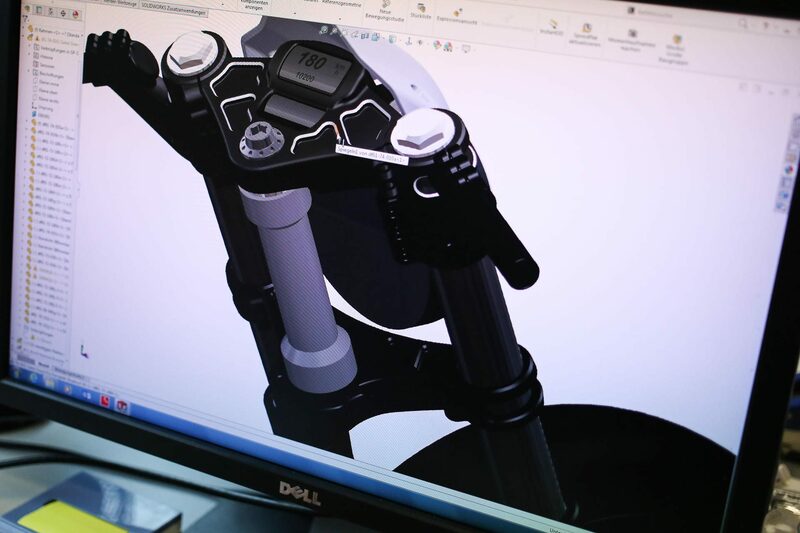 The custom parts (prototypes of the GP style) are now also available as TÜV approved bolt-on parts for easy mounting. 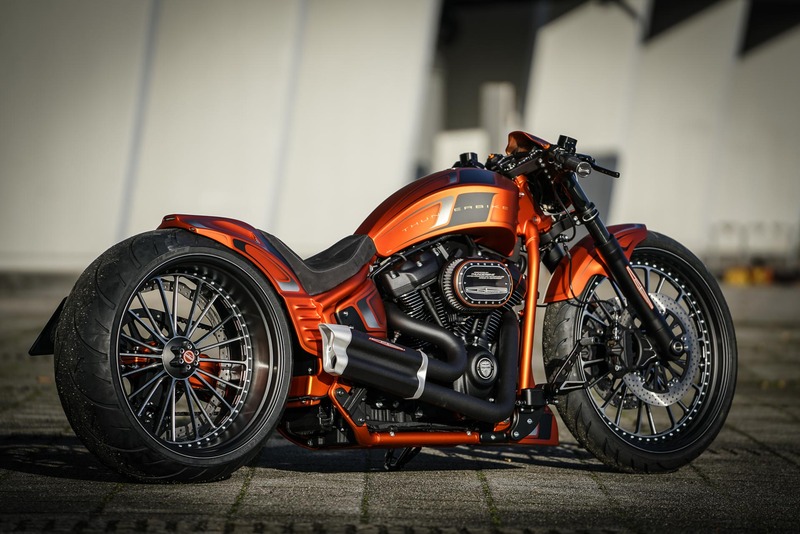 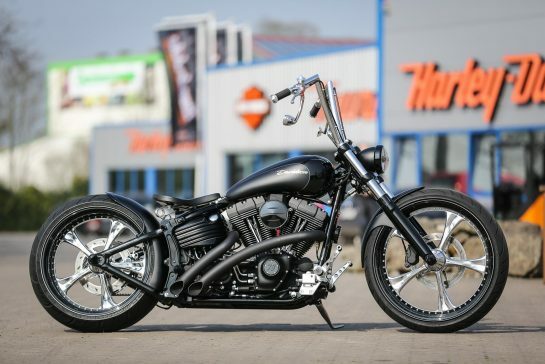 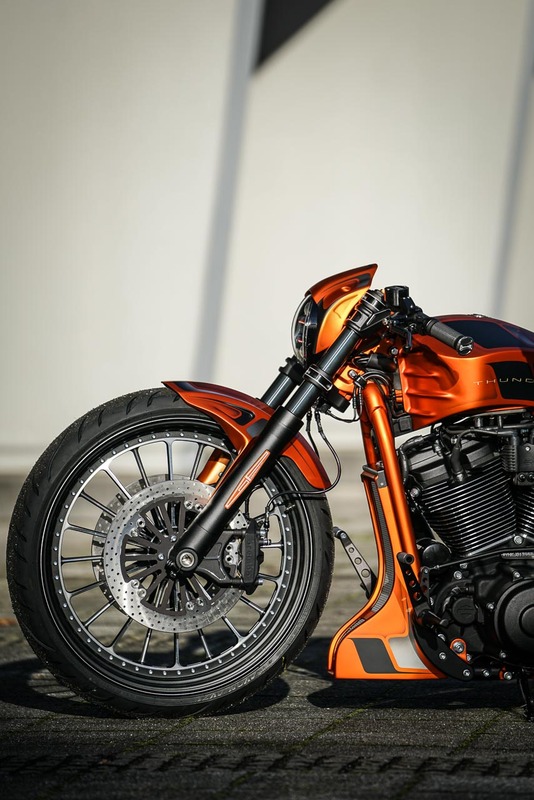 Probably the most radical Softail, that saw the light of day! 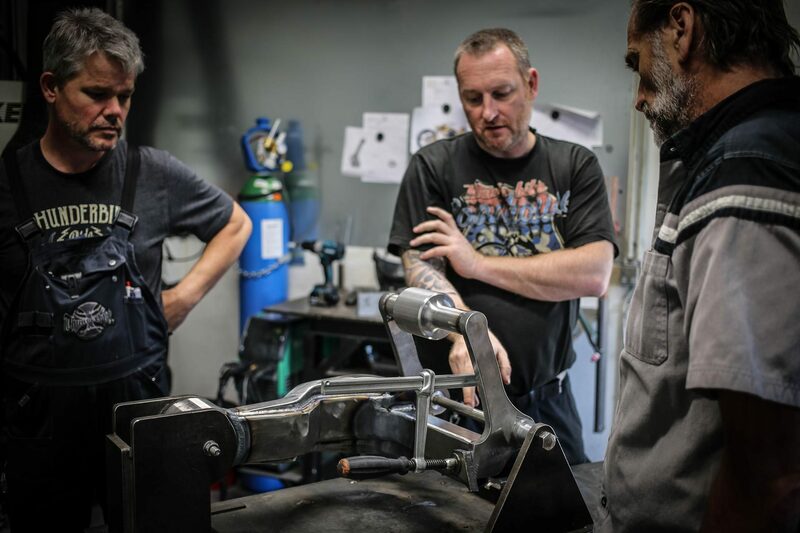 Except for the last screw, the breakout was disassembled; frames and attachments scanned and were taken as a base for our new parts.